I’ve created many Excel workbooks that contain multiple copies of the same worksheet. 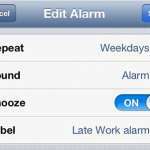 Whether the workbook is for a weekly or monthly report where each worksheet is a slightly modified version of the same template, or a worksheet from one book might be effectively used in another, it can save a lot of time and headache to re-use a worksheet that you have already created and perfected. But manually copying and pasting large numbers of cells can be tedious, so the better option is often to simply copy the entire worksheet instead. This not only prevents potential issues that might arise from simply selecting so many cells, it also copies formatting and other worksheet characteristics that may not copy over properly in certain situations. Our guide below will show you how. Open the workbook containing the worksheet that you want to copy. 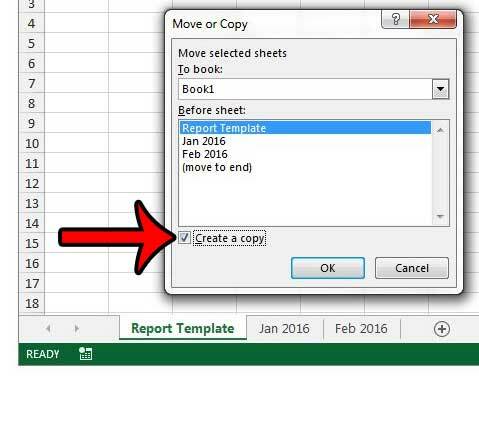 Right-click the worksheet tab of the sheet you wish to copy, then click the Move or Copy option. Check the box to the left of Create a copy at the bottom of the window. Click the drop-down menu under Move selected sheets to book, select the workbook where you want the worksheet copy, then click your preferred option in the Before sheet section to indicate where the new worksheet should be located. You can then click the OK button to create the worksheet copy. These steps are repeated with additional information and with pictures below. 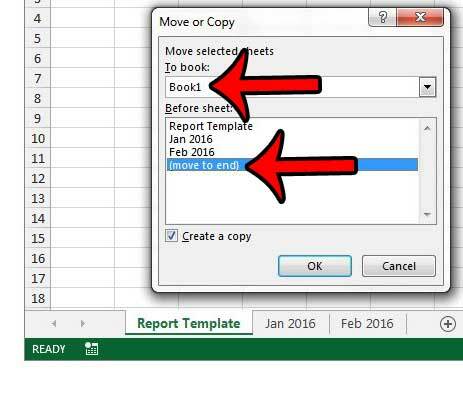 The steps in this article will show you how to create an exact copy of a single worksheet in your Excel workbook, then add the copied sheet as either a new sheet in the current workbook, or as a new sheet in another open workbook. Step 2: Right-click on the worksheet tab at the bottom of the screen for the sheet that you want to copy, then click the Move or Copy option. Step 3: Check the box at the bottom-left corner of the window to indicate that you want to create a copy. 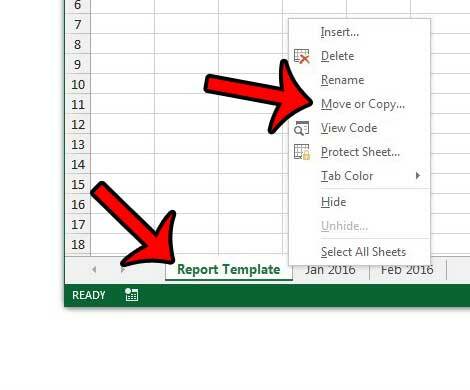 Step 4: Click the drop-down menu at the top of the window to indicate whether you want to add the copied worksheet to an open workbook or to a new one, select the desired location in the workbook from the Before sheet section of the window, then click the OK button to complete the copy process. After you create the copy of the original worksheet, the new worksheet will be separate from that original one. This means that any changes made to the new worksheet will be isolated to that copy, and won’t change in the original worksheet. If you would like to make changes to multiple worksheets at the same time, then this guide can show you how. Note that if you add the copy to a workbook that already has a worksheet with the same name, then the copy will have an (2) appended to the worksheet name. You can rename the worksheet to whatever name you require.